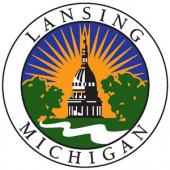 There are a variety of pathways to enter the nursing profession in Lansing and East Lansing, Michigan. Gaining licensure to practice each nursing role requires enrolling in a state-approved program and completing the relevant certification examinations. It is important to understand each role and the pathway leading up to it as one prepares to embark on a nursing career. The most junior nursing role is certified nursing assistant (CNA). CNAs assist patients with essential living tasks in a range of long- and short-term care settings; they must pass a state certification examination before practicing. Licensed practical nurses (LPNs) must pass the NCLEX-PN exam, which allows them to care for patients as well as conduct procedures and administer medications. Registered nurses (RNs) qualify for practice by completing an associate’s or bachelor’s degree program and successfully passing the NCLEX-RN exam. In addition to the above responsibilities, they can assume roles in health education and direct some aspects of patient care. According to the Bureau of Labor Statistics, the median salary for CNAs in the Lansing / East Lansing area is $27,320, while the area’s LPNs typically earn $43,480 per year. While local employment data is not available for RNs, one can expect them to earn the statewide median of $65,050 annually. Sparrow Health System, Spectrum Health, and HCR ManorCare are some of the major nursing employers in the Lansing / East Lansing area. To help those interested in embarking on a nursing career in the Lansing / East Lansing area, we have put together a comprehensive list of local nursing programs.